I have Supermicro AOC-SASLP-MV8 using as JBOD on my server running Windows Server 2008 R2 for years and it works very well. But recently, I connected a WD 4TB hard disk (WD40EFRX) to the card and then bluescreen occurred and it was continuously BSOD on every reboot so I had to remove the hard disk out to temporary resolve the BSOD. After search about the issue, I found this thread AVS Forum: 3tb drives AND supermicro aoc-saslp-mv8 which concludes that any hard disk over 2TB had trouble connect to Supermicro AOC-SASLP-MV8 because the old driver from Supermicro does not support large (2TB+) hard disk. Many users from the thread suggest that by using the 4.0.0.1200 driver, they have success connect their 3TB drives to the card. So I tried the 4.0.0.1200 driver which can be downloaded from hdsentinel and I can confirm that it does work. Thanks to those guys, I don’t have to replace my card just to support my 4TB disk. You can see the read/write performance with HD Tune at the bottom of this post. Note: Many users use newer firmware which is 3.1.0.2x version, but I decide to update just the driver at first and it works so I don’t need to update firmware at this time. 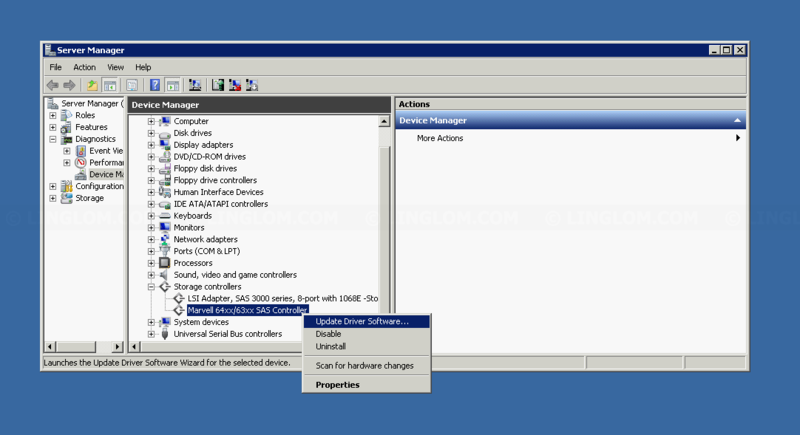 Below is step-by-step guide how to update Supermicro AOC-SASLP-MV8 with the 4.0.0.1200 driver. 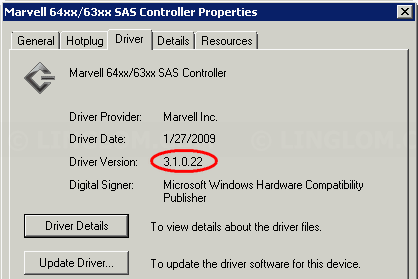 Currently, I have 3.1.0.22 driver on my Supermicro AOC-SASLP-MV8. 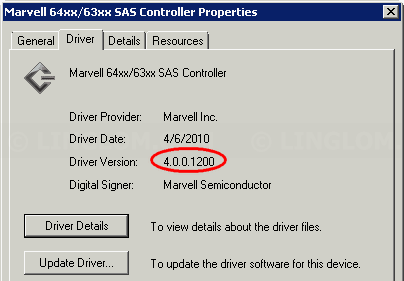 So, first, download the 4.0.0.1200 driver which can be downloaded from hdsentinel or you can download from here. 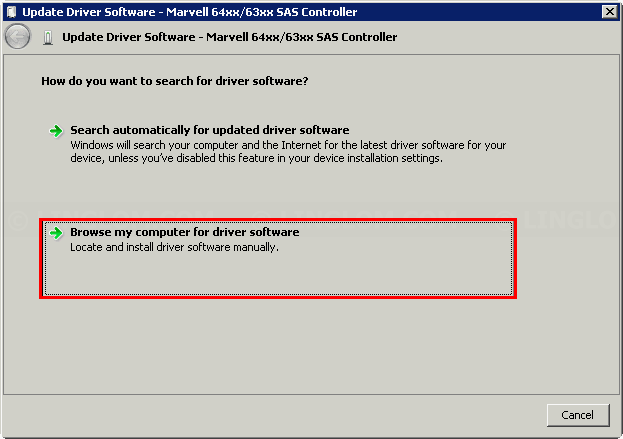 Open Device Manager, right-click on the card (Marvell 64xx/63xx SAS Controller)and select Update Driver Software. On Update Driver Software, select Browse my computer for driver software. 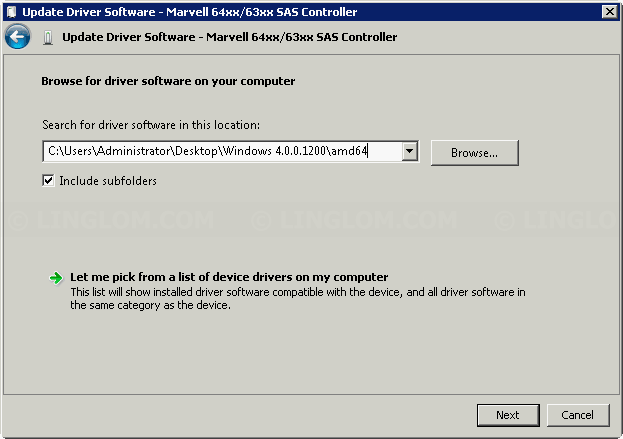 Next, select folder where you have extracted the driver and click Next. The driver will update and you need to restart your system. After restarted, the card is updated with the new driver. You can use now use the hard disk with no more BSOD. 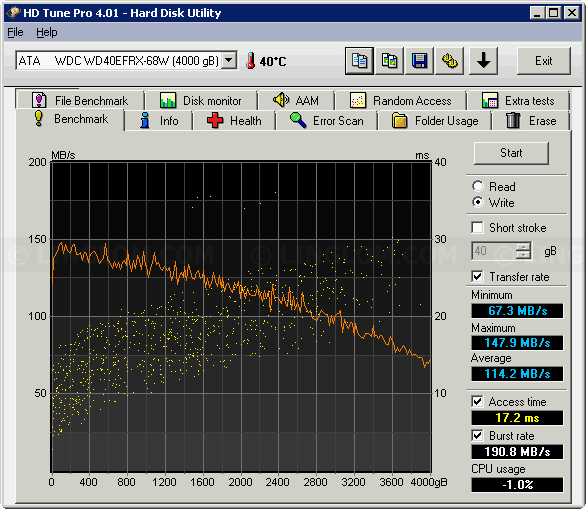 Here are the read/write performance testing on WD 4 TB (WD40EFRX) that connect to Supermicro AOC-SASLP-MV8 with the 4.0.0.1200 driver by HD Tune Pro 4.01. The benchmark result are similar as when connect the hard disk directly to mainboard so the driver is working good in this case.